Samsung have officially launched the new Samsung Galaxy A8 (2018) and Galaxy A8+ (2018) with a lot of irresistible specifications that would definitely put them ahead in the market, 2018. These new products added to the Samsung family have had their own share of leaks and rumors with some of them turning out to be true. Samsung Galaxy A8 (2018) and Galaxy A8+ (2018) were officially announced on Tuesday with the design and User experience of the mobile phones similar to that of Samsung Galaxy S8. The two Android phones boast of Infinity Displays, IP68-certified dust and water resistance, aside the dual selfie camera. Read Also|NEW SAMSUNG'S GALAXY S8 SMARTPHONE IRIS SCANNER TRICKED WITH A PHOTOGRAPH AND A CONTACT LENS. Specifications and Features - Samsung Galaxy A8 (2018) and Galaxy A8+ (2018) have Android version 7.1.1 Nougat running in it, the devices have an octa-core chip with two cores clocked at 2.2GHz and six cores clocked at 1.6GHz. Looking at the qualities of the two cameras in both devices, they have a 16-megapixel fixed focus, f/1.9 camera sensor and an 8-megapixel f/1.9 sensor. The two sensors attached have the ability to either give a blurred background to create a bokeh effect on their selfies or have a clear and sparkling background as well as a focused foreground. There is also an included Live Focus feature that allows Users to adjust the Bokeh effect even after taking a selfie. Samsung Galaxy A8 (2018) and the Galaxy A8+ (2018) both have an IP68-certified build with the company's latest Gear VR headset Samsung Pay integration. 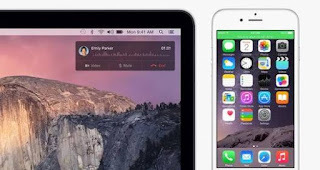 The Both mobile devices will appear in four different colour options, namely, Black, Blue, Gold, and Orchid Grey. Also Read|SEASON'S GIFTS! CHECK OUT SOME COOL CHRISTMAS TECH GIFTS YOU CAN GET FOR YOUR LOVED ONES. Turning to the back Camera, a 16-megapixel camera sensor is found there with f/1.7 lens. The rear camera sensor encourages video digital image stabilisation (VDis) technology and has features such as hyperlapse and a Food mode. Samsung Galaxy A8 (2018) and Galaxy A8+ (2018) comes with 4G LTE, Wi-Fi 802.11ac, Bluetooth v5.0, GPS/ A-GPS, NFC, and USB Type-C port. 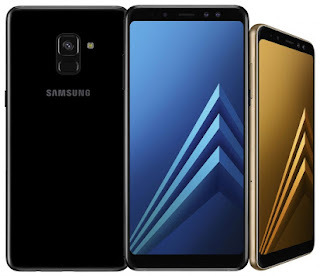 After looking at this first two "A" series products from Samsung, you will understand why A8+ is greater than A8 and that may change the prices of the both products, although their official prices and date of release in the market has not been made public. The Samsung Galaxy A8 (2018) has a 5.6-inch full-HD+ (2220x1080 pixels) Super AMOLED display with 18.5:9 aspect ratio which is the same as the Samsung Galaxy S8, while the Galaxy A8+ (2018) has a 6-inch FHD+ Super AMOLED display. The Galaxy A8 (2018) comes in 4GB RAM, whereas the Galaxy A8+ (2018) will come in 4GB and 6GB RAM options. The Samsung Galaxy A8 (2018) and Galaxy A8+ (2018) have 32GB and 64GB internal storage options that are expandable via microSD card (up to 256GB). Read Also|BLACK PEARL SAMSUNG GALAXY S7 EDGE NOW AVAILABLE.